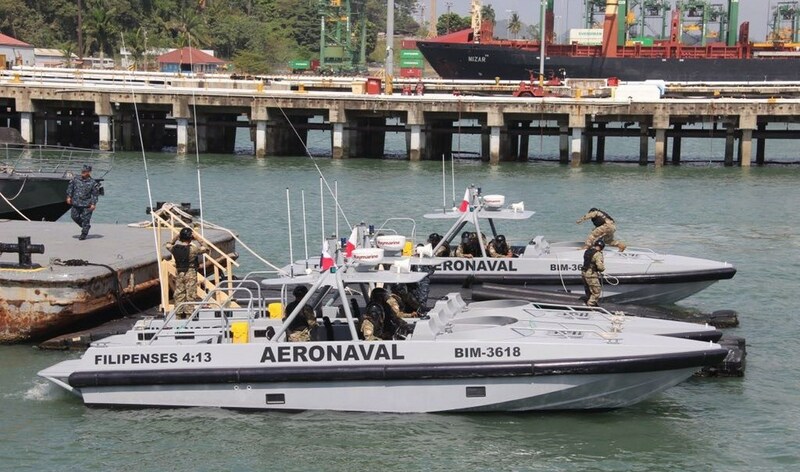 The National Air and Naval Service of Panama (Servicio Nacional Aeronaval - SENAN) has taken delivery of four Interceptor 1102 vessels from Damen Shipyards Group. The Damen Interceptor 1102 is an extremely suitable choice of boat. Its low weight construction from fibre reinforced polymer composite materials combined with twin Volvo D6 engines deliver outstanding results.